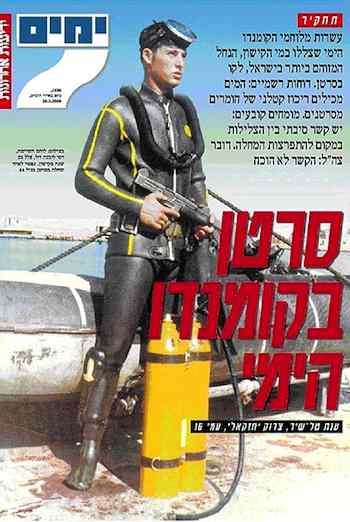 Ynet reported today that Haifa District Court judge ruled that there was no causal link between Kishon River’s pollution and the illness of more than 70 Israeli Navy seal divers, despite expert claims that 'exposure to one molecule' could lead to illness. For more than 25 years, the Israeli elite Navy seals used to dive and train in the Kishon River in the Haifa Bay, apparently, the most polluted river in Israel. Authorities were warned about the lethal concentrations of cancerous substances in the river for years. The Haifa District Court ruled Monday that there is no causal link between the pollution in the Kishon River and the illness of 70 former Navy commandos. The divers' suit was filed against the Haifa Municipality, Haifa Chemicals, oil refineries, and the Haifa Region Association of Towns, claiming they are responsible for the pollution and toxic waste in the river, including arsenic, nickel, chromium, cadmium, lead and benzene. Seemingly it took 2000 years for the Jews to come back to their so-called ‘promised land’ but just a few years to pollute the rivers and contaminate the land.